Lance Stallons, voted Best of Western Kentucky Car Salesperson 2016 and 2017, grew up in the family business working with his dad, Jimmy. 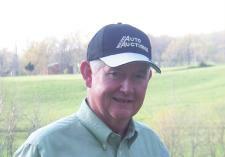 He graduated from Trigg County High School in 1986, where he went on to devote his career to the car business. His experience includes being a salesman/used car manager at the local Ford Dealership from 1988 to 1995. When he’s not working hard at Stallons Auto, you can find Lance spending time with his wife, Angie. They have been married since 1987 and have 4 children: Landan, Tanner, Alyssa, Josie, and 2 grandchildren, Nolan and Easton. On his days off, he spends his time on the family cattle farm or attending Crossroads Fellowship in Cadiz, KY.
After graduating with a BS from Murray State University, Jerry James went into car sales, starting his career in the auto business in 1981. He was a used car manager from 1987 to 1991 and went on to be a General Manager at a Chevy Buick GMC dealership from 1991 to 2008. From 2008 to 2015, Jerry was the GM at Wildcat Chevrolet, providing exemplary service to the locals in the Cadiz, KY area. He has since retired, however his love for being in the car business has allowed him to stay in the field, where he now works for Stallons 2 days a week. He’s been married to his wife, Mary, for 42 years now and has 2 children and 5 grandchildren. When he’s not working, you can find him at his home on Barkley Lake, enjoying a great day of fishing, pontoon and jet ski activities with the grandchildren. Faye Stallons is the backbone to Stallons Auto Sales and has been with the business since she graduated from Trigg County High School in 1967. As the Office Manager of Stallons, she’s provided years of great service, truly upholding the Stallons name. Her pride and joy are her sons, Lance, Russ, David, and Stephen, and her 14 grandchildren and 3 great grandchildren. During her free time, Faye enjoys attending Gracey West Union Baptist Church, socializing, and being a member of her community. Landan Stallons, salesman at Stallons Auto Sales, has worked around the car business his whole life. He has earned his bachelor’s degree from Western Kentucky University and his MBA from Murray State University. Landan is a full-time Commercial Lender at Planters Bank during the week and a salesman at Stallons Auto Sales on Saturdays, sharing his love for the automobile business with others. When he’s not working hard, he’s enjoying his time with his wife and son or watching his favorite teams: the Kentucky Wildcats and the Dallas Cowboys. Alyssa Summers, Lance Stallons daughter, began “working” at the car lot with her dad when she was around 12 years old. She would do anything she could that didn’t require driving. At age 16, she began working in the summer, helping pick up/drop off vehicles. By the time she was in college, she was able to completely walk a customer through the buying process, including financing. Alyssa graduated from WKU in December of 2017 and in January of 2018, began her career as a third grade Science and Social Studies teacher in Hopkinsville. When she isn’t teaching or selling cars, you can find her enjoying her time with her husband, son, and dog. She spends her Sunday mornings at church and her Sunday afternoons at the dog park. Tanner Stallons grew up around the car business working with his dad, Lance. He started cleaning the cars on the lot and gradually got into sales at Stallons Auto Sales, where he is currently a salesman on Saturdays. During the week, Tanner works full time as a physical therapist. 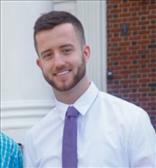 He graduated from the University of Kentucky in 2017 with a DPT Degree and attends New Work Fellowship in Hopkinsville. When he has free time, he enjoys spending time with his friends and family. Stallons Auto Sales has been a family owned business for 75 years. We value family and treat our customers the same way. Meet our family: Lance, Angie, Landan, Tanner, Alyssa, Josie, Emily, Nick, Nolan and Easton. My Father, Jimmy started selling cars while still in high school, learning from my grandfather, James. He spent most of 25 years in wholesale vehicles sales before opening Stallons Auto Sales at its current location in 1995. He married Faye Joiner Stallons in 1967. They have four children: Lance, Russ, David and Stephen. After a 2 year illness, Jimmy passed away December 14, 2010. He was a great business partner and a wonderful Dad. A man who loved God and his family. He will be missed.